This wine and glass rack makes a perfect centerpiece for your next dinner party, bridal shower, rehearsal dinner, or wedding! 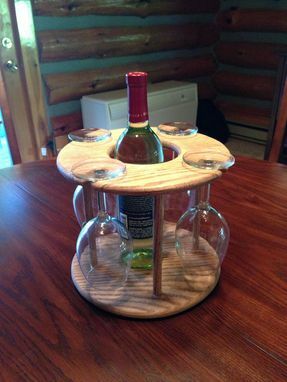 Simply place your favorite bottle of wine in the center and hang on 4 glasses! 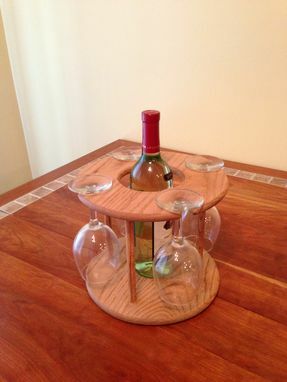 This handcrafted piece will hold 4 standard size wine glasses, and 1 standard wine bottle. 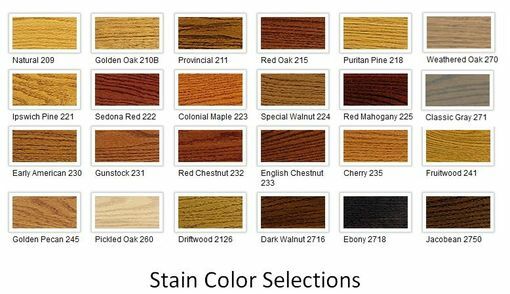 It is made out of solid oak and finished with your choice of stain (please specify stain color in the comments to seller box). 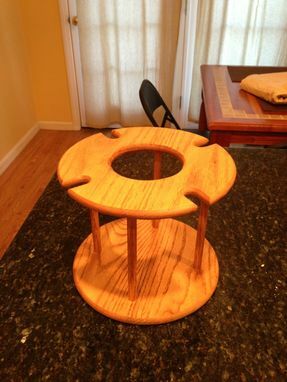 Each piece is made to order. If you would like more than number listed as available please contact the seller.